Today, Fender is the largest guitar manufacturer in the world. So why change? "If it ain't broke, don't fit it," the saying goes. Luckily, the most innovative organizations disregard such pedestrian advice. 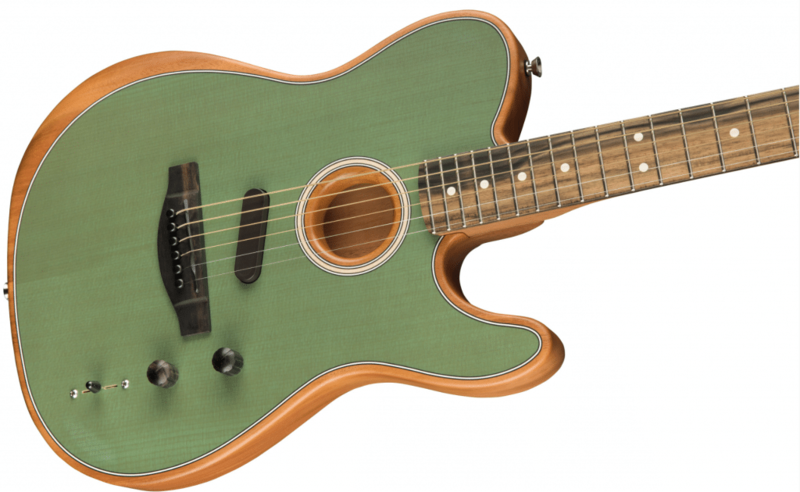 On January 22, the company broke the mold again with the release of its new Acoustasonic Telecaster. The new instrument – best described as a mash-up of an electric and an acoustic guitar – is profoundly different than anything the world has seen. I recently interviewed Fender's executive in charge of the launch, Billy Martinez. "This was a three-year journey, taking cues from artists, to fundamentally reimagine the guitar," Martinez told me. Musicians had a number of frustrations: they loved the feel of their electric, but it sounded pretty weak unplugged. They wanted the warmth of their acoustic, which didn't perform as well plugged in. Martinez and his team set out to create a single instrument that was easy to play and could meet the broad needs of musicians wanting to toggle between electric and acoustic sounds. Was it possible to have a single guitar replace the need of ten? With the firm belief that Fender's innovation didn't end decades ago, Martinez started with a blank sheet of paper. The Acoustasonic, which was the result of thousands of hours of design and refinement, is poised to shake up the large and competitive guitar industry. Start with the ideal state and work backwards. The design team ran into dozens of "it can't be done" roadblocks, but they didn't let prevailing wisdom dissuade their mission of crafting a profoundly better instrument. The new instrument had to be comfortable to hold and easy to play. Martinez tells me, "We worked hard to ensure you don't need an engineering degree to figure it out. It had to be super user-friendly, or it was back to the drawing board." The first versions of anything are rarely the ones that make history. Whether you're developing a new guitar, drug therapy, or business plan, the creativity must sustain far past the initial idea. It's those painful, endless hours of refinement that create true enduring value. We'll have to see if the Acoustasonic will achieve the legendary status of its Fender siblings, but the company's innovative and courageous departure from the past stacks the odds in their favor. These same five rules can apply to your own business, as you fight for competitive advantage and sustainable success. Your instrument may be a laptop, a medical lab, or a saxophone. Regardless of your chosen medium, it's time to create artistry by embracing the principles of groundbreaking innovation. The post Fender Guitar’s Rules of Groundbreaking Innovation appeared first on Josh Linkner.